I was going round and round and round about how to celebrate my birthday this year. And then decided to do exactly that! 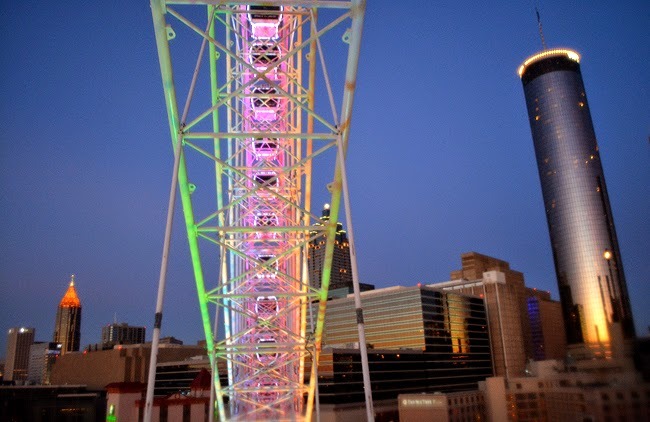 The evening of the celebration—at least the first day of celebrating—started with a ride on SkyView Atlanta, followed by dinner at The Sun Dial, and then dessert and bubbly at Polaris. It was a spectacular evening, with best friends. Probably my favorite birthday gift this year was my best friends offering a Vulcan salute! Anyone who has known me for any length of time knows that I love Star Trek as much as I love being a tourist...which is a LOT! How fun of my friends to indulge me. Left to right, that's Scott, Barry and Perry, and in this photo we were mid-celebration at The Sun Dial Restaurant, Bar & View, in one of the View's overlook pods. 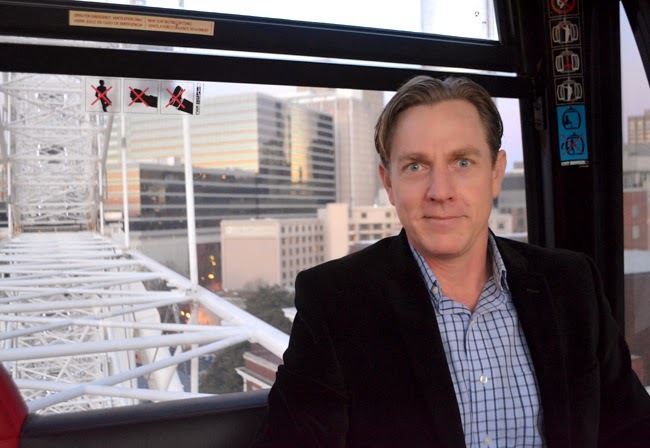 The evening started with a ride on SkyView Atlanta, in the VIP Gondola! My first ride on SkyView had been just a month before, on Christmas Day, with Perry and Scott. This birthday ride was with Barry, and it was his first ride, making it extra fun! The above photo I made after our vertical 360 degree tour of downtown Atlanta. Be sure to listen to the audio tour in your gondola, which we didn't hear Christmas Day, until the very end of our ride. On this particular ride, we listened to it for several revolutions and then turned down the volume and just took in the spectacular view. Since I was a small child, I've loved skylines, especially architecturally interesting ones. It's been quite exciting watching Atlanta's skyline change over the years and I think SkyView Atlanta is a magnificent addition, especially to our nighttime skyline. I didn't realize when I booked the ride that we'd be riding as the sun was setting. When we got on, it was still daylight. 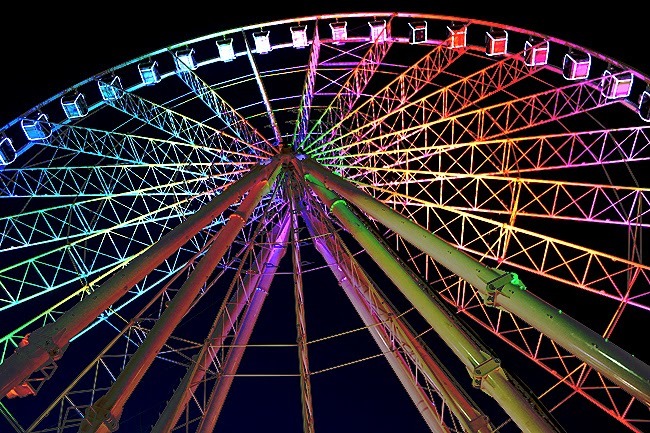 By time our 30-minute VIP ride was finished, the sun had set, and SkyView was illuminated with quite the glowing rainbow of colors! I've now done both the standard ride and the VIP Gondola ride on SkyView Atlanta. Both are super fun. But, I have to admit that the extra money for the VIP Gondola ride is totally worth it. We were greeted by our new SkyView Atlanta friend, Wisdom. He treated us like real VIPs. When we arrived, we were immediately escorted to the comfy VIP Lounge where a photographer met us and made photos of us. Wisdom took a drink order and promptly brought that to us to enjoy on the ride. Soda and bottled water are complimentary with the VIP Gondola ticket and beer and wine are available at a reasonable cost. We enjoyed some wine on our ride. Thank you, Wisdom, for the awesome treatment! 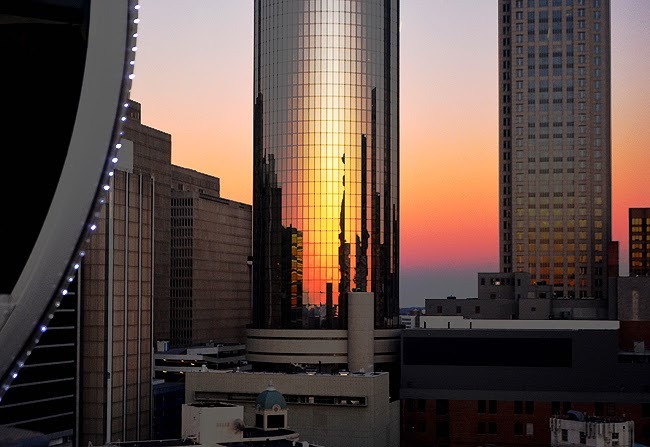 As much as I love to write and talk, it's challenging to express how amazing a 360 Atlanta sunset can be. And it was fantastic to see our next destination from SkyView—The Sun Dial Restaurant atop of the Westin Peachtree Plaza Hotel. 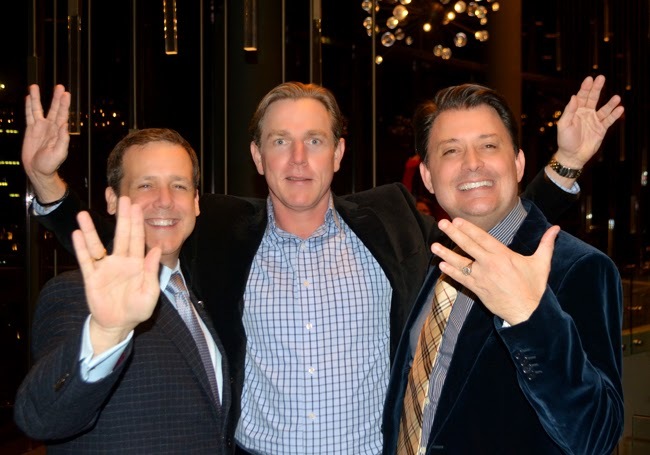 Before heading to The Sun Dial, Barry and I met Perry and Scott at their penthouse in Museum Tower, overlooking Centennial Olympic Park, for a celebratory libation and another fantastic view of the Atlanta skyline! "Versailles in the Sky" is what we've started calling their beautiful home. And not only are they dear friends, they're wonderfully gracious hosts! Dinner and drinks at The Sun Dial Restaurant, a revolving restaurant, was great! We all had steak. When I saw that a blackberry reduction accompanied the dish, I was all-in. Blackberries are my favorite food, so that selection was an obvious choice for me. 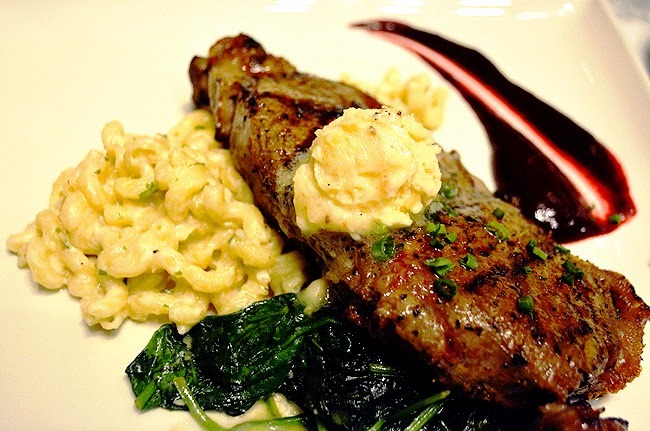 That it came with Blue Cheese Mac & Cheese was a total bonus! I've been going to The Sun Dial since the late 80s. A lot of locals see it as a tourist attraction, and that it is, but it's so much more to me. It was one of my earliest experiences when I first moved to Atlanta, so it's special to me. And it has an awesome 360 view of a beautiful city! We enjoyed a pre-dinner cocktail and had a nice bottle of Mendoza Malbec with dinner. Having vacationed in Argentina, the Malbec too brought back great memories. 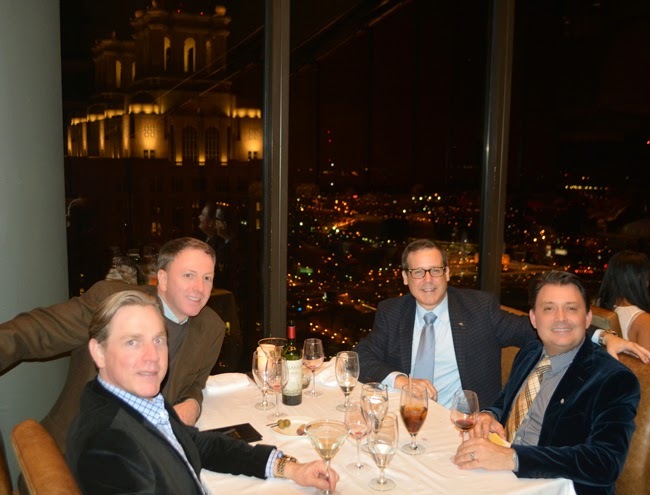 I love this photo...dear friends, great dinner, and One Ninety One Peachtree Tower in the background—how could you not have a great time! 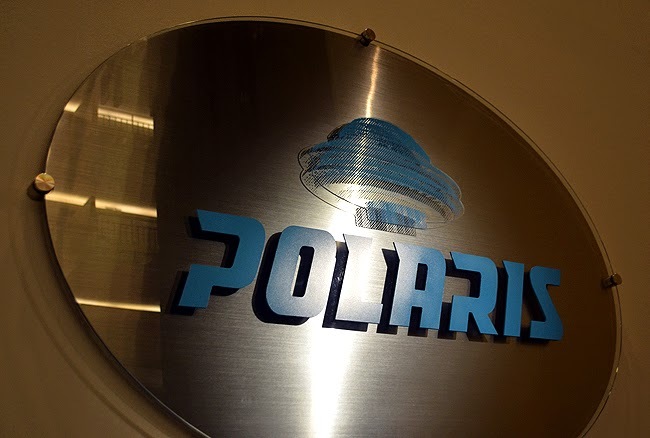 I'd admired Polaris for the first 15 years I lived in Atlanta, but unbelievably never visited. It closed when I lived in DC and reopened last year, in 2014. Being something of a sci-fi fan(atic), I love that Polaris looks like a flying saucer (I hope that doesn't offend the establishment. It's meant with great fondness). Visiting Polaris for my birthday dessert and bubbly was my first visit, but it will not be my last! Polaris has its own elevator and the elevator hostess was delightful. And she had amazing shoes! There was an event going on so she wasn't sure she would be able to get us up right away...but she did. I'm grateful for her kindness and for accommodating our excitement to experience Polaris. 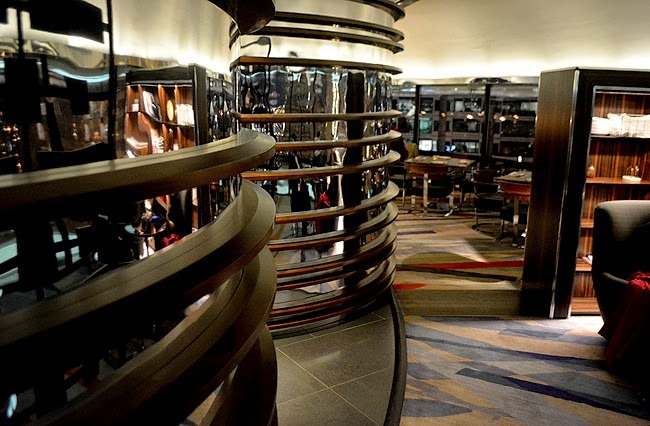 Polaris, at the Hyatt Regency Atlanta, was once a restaurant, one that also revolves 360 degrees. And it was the tallest building in Atlanta when it was built in 1967. Today it's a sophisticated, tourist beacon, must-experience lounge, with brilliant libation offerings, seasonal small plates and marvelous sweet treats! And the decor is stunning. Its resurrection last year was met with great fanfare and it's already on numerous Top 10 lists. All for good reason...the place is magnificent! 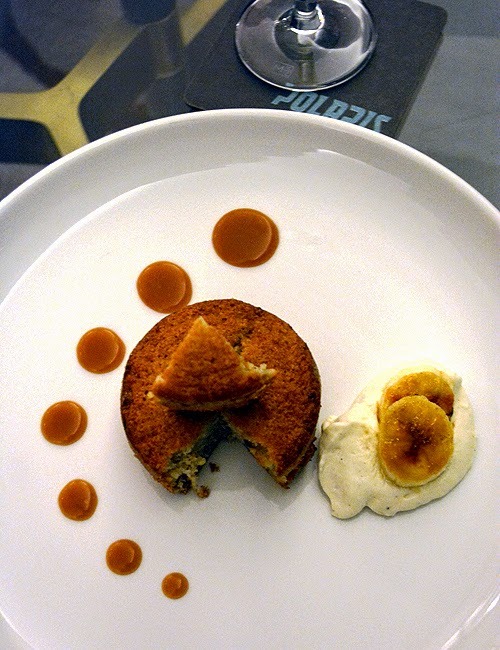 I enjoyed the Warm Roasted Banana Cake with toasted pecans and creme fraiche—it was amazing, and my friends all enjoyed the Graham Cracker Cheese Cake with marshmallow meringue—I had a bite and OMG, it enraptures the taste buds! All of this fantastic round-and-round totally fun Downtown Atlanta experience was last Saturday, January 24. My actual birthday is January 27, but I had to work that day. Our Annual Meeting was that evening and went until 9:00 p.m., not leaving a lot of time for a day-of celebration. BUT, I won one of the company's highest awards (for innovation), so it was an evening of another kind of celebration...I'm also grateful for that. Here it is nearly a week later and I'm still celebrating. Yes, I'm one of those. I love celebrating life and will continue to do so—most enjoyably as a tourist—for all of my days, and nights. Please feel free to borrow from my "360 Degree Birthday" theme and visit SkyView Atlanta, The Sun Dial Restaurant & View, and Polaris. I'd like to offer a special "Thank you" to my friends, Barry, Perry and Scott, for making my birthday celebration a special experience. I had the most wonderful wanderlusting Atlanta birthday!